Working as a firefighter in Bedford-Stuyvesant in 1999, Brooklyn fire marshal Joe Casaliggi began to notice that the types of people– and types of fires– in his neighborhood were changing. The shift isn’t complicated to explain. Arson is a crime intimately connected to economics. Because insurance generally covers fire damage, owners may have an incentive to set fire to their own properties to avoid losses in a recession and to fraudulently collect insurance money. Economists have even proven that arson rates are prone to fluctuate with the business cycle. The close link between economics and arson has caused arson rates to plummet suddenly in New York City’s most rapidly gentrifying neighborhoods. “Arson is a crime that’s done for different reasons– it could be done for insurance, it could be done because of arguments. But if you paid a million dollars for my house, you’re not burning it down for any reason,” said Casaliggi. Bed-Stuy is one example of how falling arson rates can be a byproduct of gentrification. The neighborhood, which had the second highest arson rate of any New York City community district in 1993, has experienced a rapid drop-off in arsons in the past ten years. While 148 incendiary fires were reported in Bed-Stuy in 1993, there were 58 reported in the mayor’s management report in 2013– a precipitous drop by city standards. Meanwhile, home prices in Bed-Stuy have surged. Online real estate database Zillow lists Bed-Stuy’s market temperature (measured by sale-to-list price ratio, the prevalence of price cuts on home listings, and time-on-market) as hot, and measured a 25 percent increase in the neighborhood’s home values in the past year alone. “When yuppies come in, they’re cleaning up the neighborhood,” said fire marshal Kevin Burns. 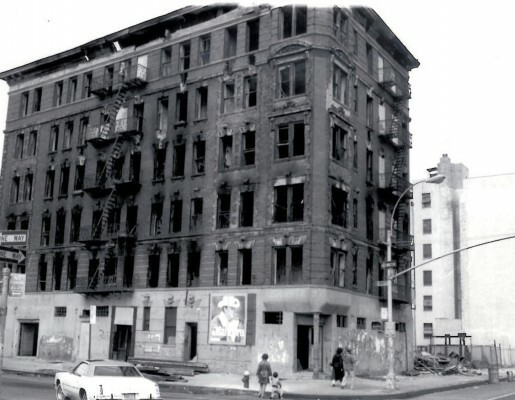 Alphabet City experienced the same dramatic shift in the 1990s. Once steeped in poverty and violence, the neighborhood’s crime rate dropped by 57 percent between 1993 and 2000. Arson rates didn’t drop off quite as quickly, but they did fall by 40 percent between 1993 and 2013. Jim Bullock worked in Alphabet City starting in the mid-1970s and noticed that as land there began to become more valuable, arson petered out. Bullock, who’s now retired, said that this shift is indicative of a more widespread trend in New York City. Use our interactive map to explore which city neighborhoods have had the largest changes in arson rates since 1993. In 1993, Bedford Stuyvesant had the second highest arson rate in New York City.